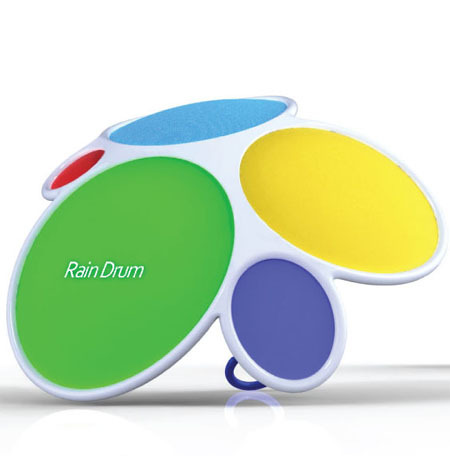 Rain drum is an innovative umbrella that features drums with various kinds of sound outputs, making the most interesting amusement for user during rainy days. When playing a drum, the hi-hat, crash and tom-tom needs a high frequency of drumstick play to make the range bigger, whereas, the bass and snare requires a lower frequency for a smaller range of sound. 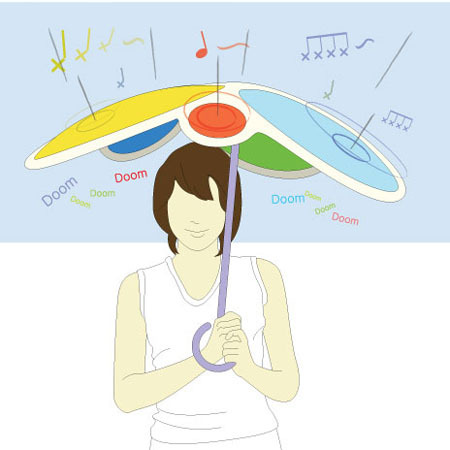 To meet these requirements, the shade of the umbrella contains five wax cloth made shades with different elasticity that makes different sounds with the fall of every raindrop.